There are many ways to do this, but in my experience, most solutions fall into one of two categories. Here’s how to each method works. 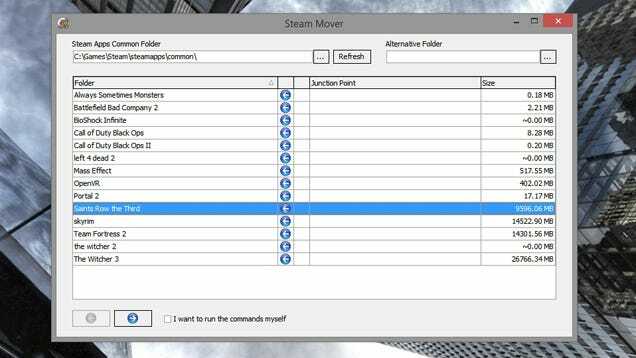 Despite its name, Steam Mover is an awesome app that will move any game—Steam, Origin, or otherwise—and play it without re-installing. It does this by creating a symbolic link at the old location, so your computer thinks everything’s in the same place—but all that space-eating data really resides on another hard drive. Download Steam Mover and start it up. It’s completely portable, so you don’t need to install anything—just run the EXE file. Select your game from the list and click the blue arrow at the bottom. Steam Mover will bring up a black command prompt window that shows you the progress of the copy. Let it run, and when it’s finished, your game should be in the new folder, with a “shortcut” in the original folder. You should be able to run it from Steam, Origin, or from that shortcut as if it never moved. That’s it. 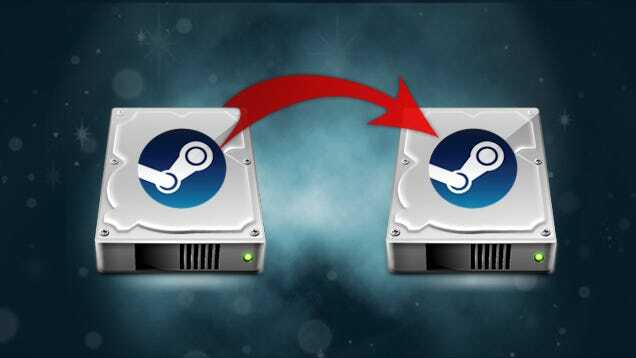 You can repeat the process with as many games as you want, and move them back at any time by re-opening Steam Mover and clicking the blue “left” arrow at the bottom to move them back. You can also make the symlinks yourself, without Steam Mover’s help, but Steam Mover makes it incredibly simple. Create a folder in the new location where you’ll store your games. If you’re on Steam, you’ll need to do it through Steam. Head to Settings > Downloads > Steam Library Folders and click “Add Library Folder”. Open Steam, right-click on the game you’re moving, and select “Properties”. This will open a second window. Select the Local Files Tab, then Move Install Folder and select drive. Open Windows Explorer and create a folder in the new location where you’ll store your games. 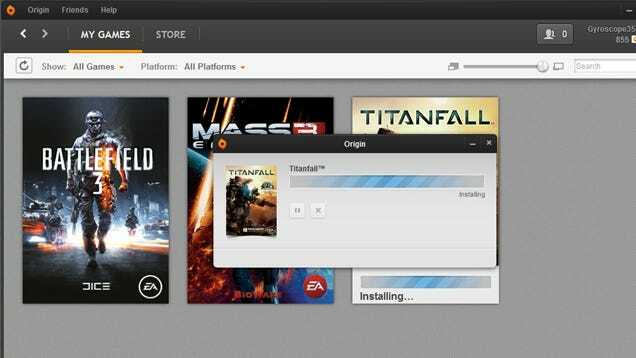 Head to your current Origin folder and find the folder for the game you want to move. Copy it to the new location, and delete the old files. Open Origin and head to Origin > Application Settings > Advanced. Under “Downloaded Games”, click the “Change” button and direct it to the folder on your new hard drive. Don’t worry, this only affects newly-installed games, so your current library will not be affected. Return to the “My Games” view and click the Download button to re-install the game. Instead of re-downloading the game (which could take hours), Origin will detect the existing files there and make any necessary minor changes. When it’s done, you should be able to play the game as usual. 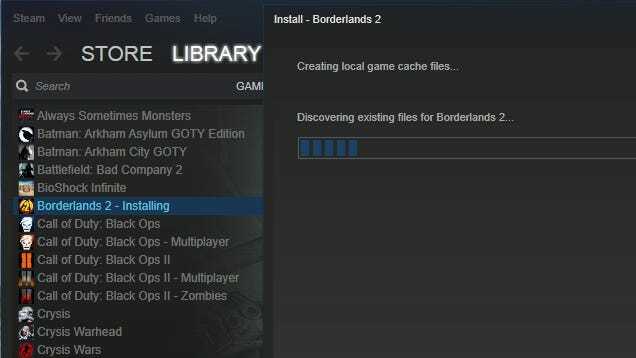 If you want to install future games to your old hard drive, repeat step 3 with the old location. This method may not work as well for games installed without a manager like Steam or Origin, but for everything I tested, it worked like a charm.